This Delta based Vancouver Olive Oil Company provides various olive oil and balsamic vinegar with a touch of different flavors for the enjoyment of their consumers. 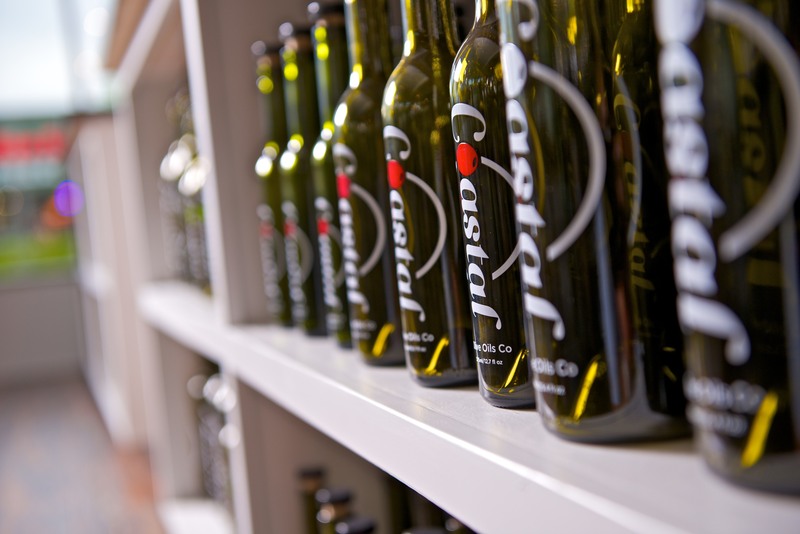 Olive oil in Vancouver can really be fun because Coastal Olive Oils offers so many flavors to choose from, and the company is continually searching for new flavors to be included in their list. There are so many ways to use olive oil. It is really versatile to use no matter what kind of weather condition the country has. Olive oils can be used for wonderful cooking adventures. It can enhance the flavor of the meal and make it taste good. On the other hand, there are a lot of people who use olive oil as part of their beauty regimen. Olive oil has so many health benefits. Being used in beauty products, Coastal produces a line of skin care and soaps using olive oil in Vancouver. The health benefits of olive oil is unmatched that is why consumers will surely enjoy using the company’s products. Extreme weather can cause hair damage. Olive oil in Vancouver can be used to repair hair damage caused by extreme weather like heat. Olive oil rehydrates hair and protects hair by sealing in the moisture. Extra virgin oil and virgin oil are the best types of olive oil to use for the hair. Cold weather can also cause dryness of hair and scalp. Using olive oil is the best remedy for dry and itchy scalp. Another use of olive oil in extreme weather conditions is for skin care. Most types of skin became dry during cold weather. Olive oil is natural and it is hypoallergenic, thus it is suitable for all skin types. Olive oil can contain antioxidants and vitamins that can help renew damaged skin. Coastal Olive Oils uses olive oil as the main ingredient of their skin care products. Olive oil can be used as medicine or ointment. It is usually used as overall haling treatment. It can be used on insect bites. Extreme weather condition can cause cough and scratchy throat. Swallowing a tablespoon of olive oil is recommended to soothe dry and irritated throat. There are instances that lips can become dry and chapped due to bad weather condition. Using olive oil as a lip balm is very beneficial. It will moisturize your lips and prevent chapped lips. Olive oil as a lip balm can be so much fun to use because it comes in different flavours. Even in extreme and bad weather conditions, olive oil is proven to have so many health benefits. Studies have been done and have proven that olive oil is very beneficial to human health. Coastal Olive Oils products are fresh and come in variety of flavours.